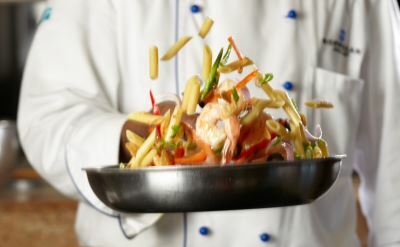 Get onboard Norwegian Cruise Line for a vacation to the exotic western Caribbean. These freestyle cruises are casual fun for everyone. The full list of cruises from Louisiana on Norwegian is below. Norwegian Cruise's ship in New Orleans is the Norwegian Getaway. The big new ship features The Waterfront open-air promenade, 28 dining options, 5 water slides, a 3-level sports complex, and live musical entertainment. 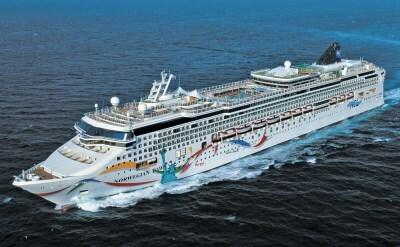 7-day Western Caribbean cruises on Norwegian Getaway. Round-trip from New Orleans to Cozumel (Mexico), Roatan Island (Honduras), Harvest Caye (private island in Belize) and Costa Maya (Mexico). • 2019 departures: November 17, November 24, December 22, December 29. 9-day Western Caribbean cruises on Norwegian Getaway. Round-trip from New Orleans to Costa Maya (Mexico), Harvest Caye (Belize), Roatan (Honduras), Grand Cayman (Cayman Islands) and Ocho Rios (Jamaica). • 2019 departures: November 8, November 24, December 13. • 2020 departures: February 16, February 23, March 1, March 8, March 15, March 22, March 29, April 5, April 12. 7-day Western Caribbean cruises on Norwegian Breakaway. Round-trip from New Orleans to Costa Maya (Mexico), Harvest Caye (Belize), Roatan (Honduras) and Cozumel (Mexico). • 2020 departures: November 22, November 29, December 6, December 13, December 20, December 27. • 2020 departures: January 17, February 7. 12-day Western Caribbean cruises on Norwegian Getaway. Round-trip from New Orleans to Cozumel (Mexico), Grand Cayman (Cayman Islands), Ocho Rios (Jamaica), Puerto Limon (Costa Rica), Roatan (Honduras), Harvest Caye (Belize) and Costa Maya (Mexico). • 2020 departures: January 5, January 26.